Time4Learning values your privacy. We will never sell or distribute your information. Find out how to homeschool with this comprehensive guide. For new homeschoolers, there is nothing more overwhelming than trying to determine which curriculum option is best for your student. Time4Learning Online Homeschool Curriculum is the perfect first homeschool curriculum because of it’s ease of use. You can sign up and start learning immediately! First-time homeschoolers will appreciate all the ways Time4Learning helps families succeed with home education from the start. Even seasoned homeschoolers will appreciate how easy Time4Learning makes their homeschooling day. Take a tour of a one-of-a-kind program that is both comprehensive and fun! Not sure where your child’s performance levels are? Your subscription gives you access to the grade below and above your subscribed level in grades 1-7 so you can review or even accelerate where needed. Our experienced and compassionate support staff is here for you. And they can answer questions not only about technical issues, but also homeschool how-to questions as well. Homeschool Portfolio Information – Answers common questions about homeschool portfolios and evaluations. 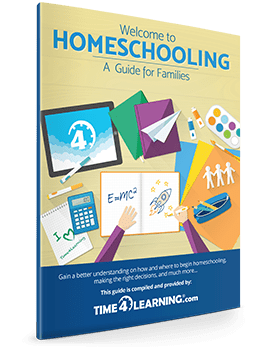 It includes tips on organization methods, what to include, and how Time4Learning can be used as part of your homeschool portfolio.